Our highly skilled workforce of 1,300 employees boasts decades of expertise across multiple industries. 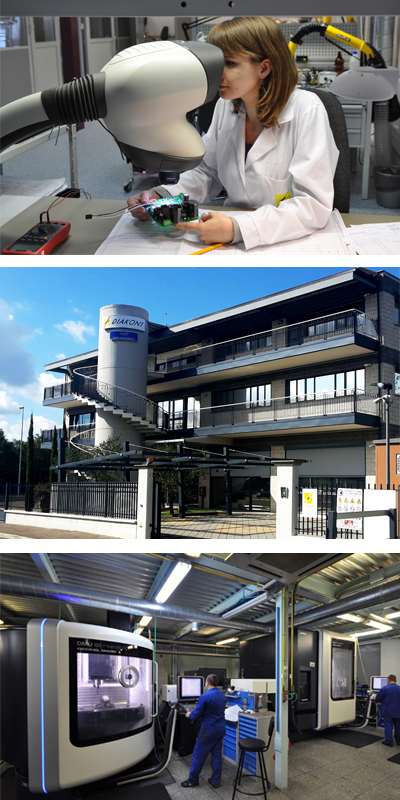 Diakont operates engineering, design, and manufacturing offices and facilities in North America, Italy and Russia while maintaining support facilities strategically located in nine different countries to support customers across the globe. Utilizing this global infrastructure, Diakont provides superior responsiveness and customer service, supporting a broad array of industries worldwide, including manufacturing, oil and gas pipelines, nuclear power operators, and more. With engineering and manufacturing facilities in the USA, Russia and Italy, Diakont’s operations are fully supported by vertically integrated internal design and manufacturing capabilities. All elements of Diakont’s motion control solutions are designed and manufactured to stringent quality standards, including IP65- and IP66-rated protection, 1ExdIIBT3 compliance for hazardous environments, and the incorporation of explosion-proof housings and fail-safe redundancy functions for turbine control. Additionally, every stage of the production cycle through final factory acceptance testing of the finished products is performed under the tight parameters of Diakont’s ISO 9001-certified Quality Management System. Diakont is also AS9100 certified to meet the demanding requirements of aviation industry applications.